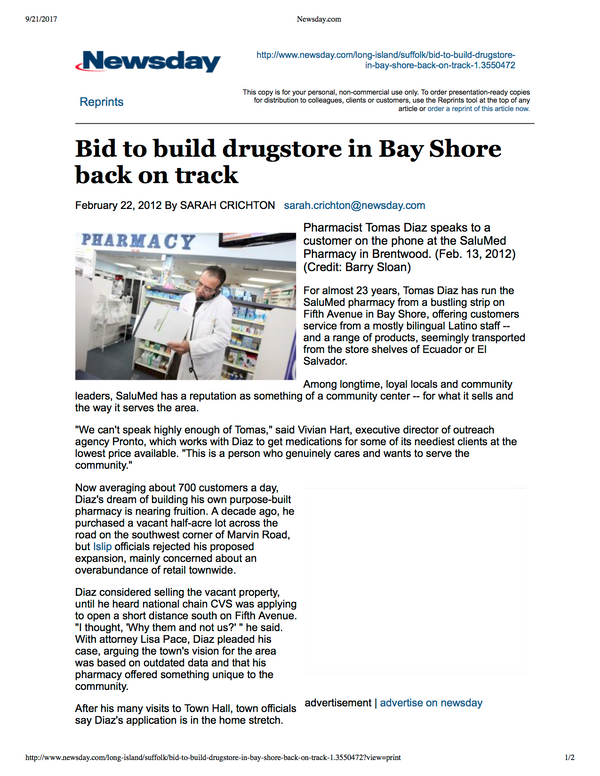 Tomas Diaz founded SaluMed Pharmacy on May 31st, Since 1989. 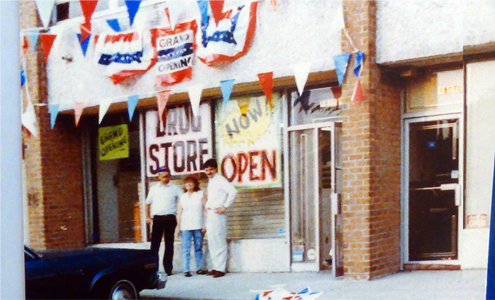 At the time there was no Drug Store in the area that fulfilled the needs of the community. The community embraced us since day 1. After 24 years serving the community we still embrace every customer as if he was the first customer that walked in through our doors. 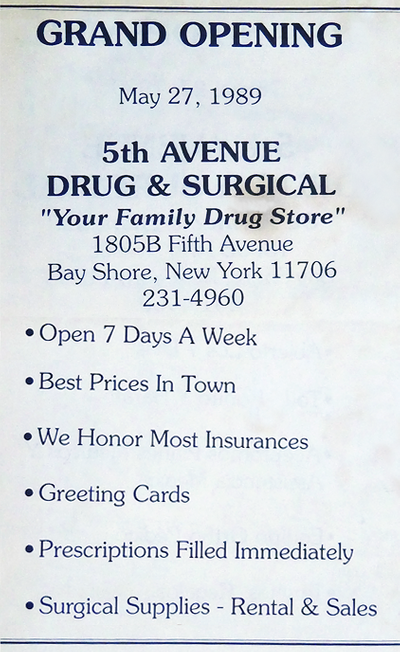 In the future we would like to become a household name for the residents of Suffolk County, with an outstanding reputation.